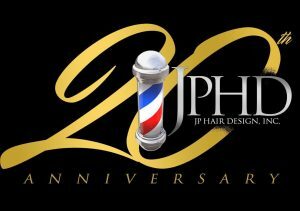 Home/Uncategorized/Professor Jackson Recognized as Key Mentor for JP Hair Design, Inc. Professor Jackson was recognized and honored as a key mentor to JP Hair Design, Inc. as the company celebrated its 20-year anniversary at the Madison Area Technical College this past Saturday. The black-tie celebration acknowledged major contributors such as Dr. Jackson and staff members of JPHD since its foundation in 1998. JPHD also presented the Taylor “Smitty” Smith Scholarship for the apprenticeship program at Madison College. JP Hair Design, Inc., owned by Jeff “JP” Patterson, serves the Madison area as a barber shop, but also connects clients to various other resources in the Dane County Area. Patterson hosted “Behind the Chair,” a talk show for outreach in education and awareness to members of the Madison community, while JPHD shares its space with Rebalanced-Life Wellness Association, a health center focused on improving the health of African American men throughout Dane County. To learn more about JP Hair Design, Inc. and its advocacy efforts throughout Dane County, visit their website here, and to watch videos from “Behind the Chair,” visit Patterson’s YouTube channel.